Sending FVR to Beijing is too high-profile for the Chinese who have in past centuries been bullied by great powers. What would work better is to conduct a whispering campaign among friends, as we look for BFFs. In this task few can beat connections of former Speaker JDV. I rejoice with the rest of the Filipino people over the Supreme Court’s decision yesterday to throw out the PCSO case vs. former President Gloria Macapagal Arroyo and ordered her immediate release. I cannot be happier, not only because she is my friend, but because a grave injustice has been corrected---albeit a bit too tardy. The SC magistrates, voting 11-4 to set her free, took a good number of years to settle this issue and a question that strikes me as well as many other Filipinos is, why only now, in the new dispensation, did the magistrates find their voice? Were they intimidated by the Aquino administration in the past five years? No doubt the most terrible persecution of the late Chief Justice Renato Corona by the former administration had sown fear in the magistrates’ hearts. 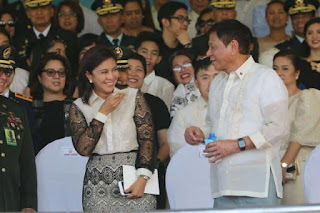 To be sure, PGMA had her generous share of critics and to some of them, this was with good reason. But all Filipinos value the virtue of justice, especially speedy justice. It was obvious that the case against her was weak and did not prosper in the courts; but the problem was that Lady Justice was blindfolded too long, when the just course should have been to resolve it sooner rather than later, especially since this woman was quite ill and at one time looked like a walking skeleton, so that her former VP Noli de Castro and Imelda Marcos were moved to tears. The heartlessness of the past administration of preventing her from seeking recourse to a foreign operation for her spinal problem, when local doctors have said they couldn’t do it with even a modicum of success, was just unbelievable. I recall visiting her one Monday evening earlier this year at the Veterans Hospital. No visitors were allowed on that day of the week (I didn’t know it then, but the guards allowed me in after one recognized me as an ex-military wife) and PGMA was alone except for a help. The silence of the hospital suite was deafening and I told myself how it could drive a lesser person to despair; but she showed her true grit in trying to look cheerful as we chatted into the night about all kinds of things. Not once did she show visitors over the five years that she was despairing of her situation. PGMA was convinced of her innocence in that PCSO case, so that when the new Duterte administration offered to pardon her, she politely and thankfully refused---arguing that she wished to go into trial in the hope that it would be speedy, so that she could prove her innocence. That PGMA’s case languished without resolution for over five years is the best argument for the court system to seek speedier delivery of justice for every Filipino---be he low in standing or the ex-President of the Philippines. Speedy justice should be true too for Benigno C. Aquino III when he faces trial. 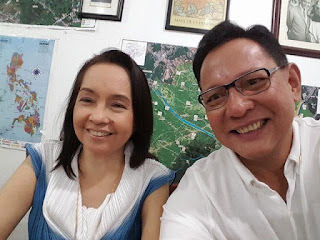 Whenever I come across friends who are in President Duterte’s inner circle, such as Star columnist Carmen Pedrosa, I urge them not to leave him alone with his thoughts and beliefs too long, as it could prove disastrous. One such disaster I am referring to is the headline of today’s Inquirer, whereby Mr. Duterte said that he wouldn’t honor the Paris Climate Change Agreement forged in December 2015, whereby representatives of 195 nations, including the Philippines, agreed to keep the increase in world temperature at below 2 degrees Celsius---to help deter further inroads of global warming. This historic compact was followed four months later with the signing in New York City of the formal climate compact by more than 170 countries, including our own. There was much rejoicing at this hard-fought victory by individuals as well as countries. 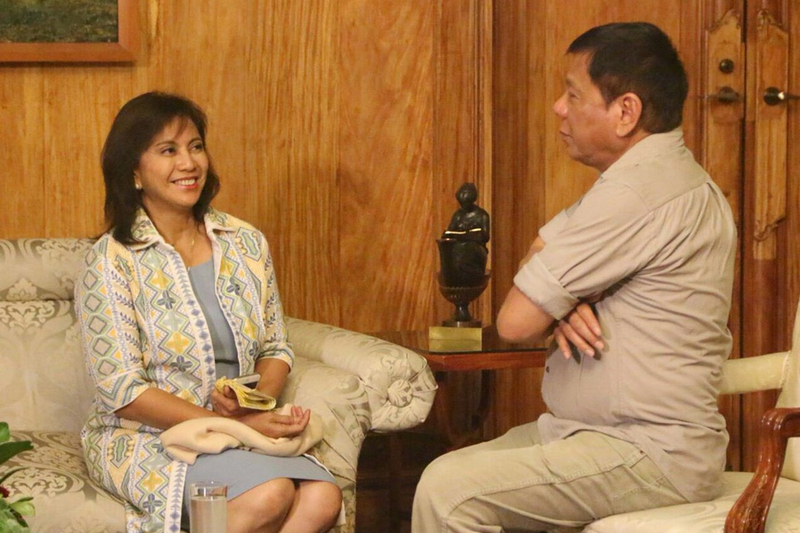 Along comes Mr. Duterte, according to the news story today, who, apparently piqued by the reminder of an unnamed foreign ambassador of our country’s commitment to limit its carbon emissions. He reportedly told the foreign envoy that we have not yet reached the level of industrialization and development, so that thus, he would not honor the signature on that global climate agreement because it “was not mine…I will not follow.” The signature was Environment Secretary Ramon Paje’s, representing President Aquino. The problem now, however, is that we’re pressing our big neighbor China to honor its commitment to the United Nations Convention on the Law of the Sea (UNCLOS) which became the basis for the decision of the UN-supported Permanent Arbitration Committee (PCA) in The Hague to throw out as invalid China’s claim to what it considers the South China Sea but which we consider the West Philippine Sea. We are now banking on the UNCLOS to which our country was one of 200 or so nations that signed it, to pressure China to agree to the PCA’s decision. China was a signatory to the UNCLOS but it refused to even argue its position on the maritime dispute with PH in The Hague. This despite the fact that as was pointed out in the excellent forum on “Upholding the Law of the Sea Convention and the Post-Arbitration Philippine Challenge,” held at the UP College of Law’s Malcolm Hall last Friday, July 15, Article 296 of the UNCLOS provides that judgment of the international court or tribunal would be legal and binding on the signatories. If Mr. Duterte now insists that he would not honor our commitment under the Climate Change Agreement, what face would we show now to win support from UNCLOS members on our sea dispute with China? The President has announced publicly that he would ask former President Fidel Ramos to conduct high-level talks with Beijing on the arbitral tribunal’s ruling, to perhaps persuade China to toe the line. But given many factors, such as the background of that country of having been bullied in past eras by various powers, especially the Western powers (as explained very well by our former Ambassador to Beijing Narciso Reyes, Jr. in his Inquirer Commentary of July 16, 2016, a high-profile counter by FVR, despite his prestige internationally, might not work well. FVR probably realizes this too, as he has not commented on Duterte’s “designation” at all. In personal as well as international relations, the adage about “the enemy of my enemy is my friend” is a truism. But what about the friend of my friend? That would be my “best friend,” wouldn’t it? I’d suggest that a whispering campaign for support among our BFFs would be more effective, and here no one can perhaps beat former Speaker Jose de Venecia. JDV was not five-term speaker for nothing, and after he retired from local politics he shifted gears to international politics, working with both active and retired international parliamentarians. He is Founding Chair as well as Chair of the standing committee of the International Conference of Asian Political Parties (ICAPP), composed of some 350 ruling and opposition political parties from 52 Asian countries, INCLUDING CHINA'S COMMUNIST PARTY. In fact the Vice-Minister of the International Department of China, its policy-making body, is a member of ICAPP's standing committee, together with JDV. JDV is also president of the Centrist Asian Pacific Democrats International (CAPDI) that counts prominent civil and political leaders such as Cambodian Prime Minister Hun Sen, President Jose Ramos Horta of East Timor and incumbent Indonesian VP Yusuf Kalla. JDV, who co-founded Lakas-Kampi with FVR, was also one of the founders of the Asian Peace and Reconciliation Council (ARC). All of these organizations could be harnessed to support our claim to the West Philippine Sea. As I argued, the friend of my friend is my BFF. We need friends to support our victory in the Hague arbitral tribunal. A whispering campaign among our friends is the better part of valor.